Eve Myles and Bradley Freegard reveal secrets on KF Series 2! 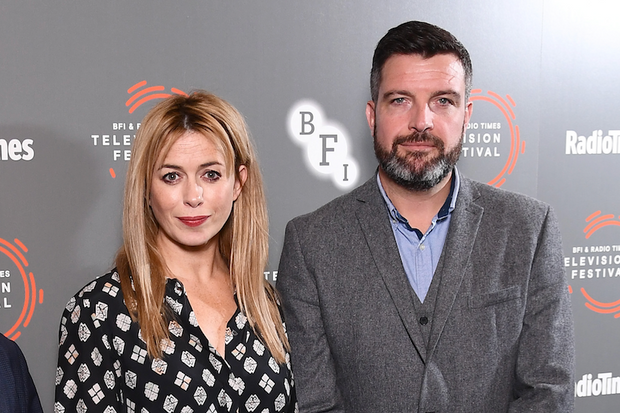 Speaking at the BFI Radio Times TV Festival, Eve Myles, Bradley Freegard and Matthew Hall discuss Keeping Faith (Series 2) and reveal secrets about the enigmatic Evan Howells. Eve Myles (Faith Howells) and Bradley Freegard (Evan Howells) will discuss series 2 of Keeping Faith / Un Bore Mercher on 14th April at 1pm in the BFI Southbank as part of the BFI Radio Times TV Festival. Tickets are now on-sale! Vox secures two Celtic Media Award nominations! ‘Un Bore Mercher’ and ‘To Provide All People’ have been nominated for Best Drama Series and Best Single Drama at this year’s Celtic Media Festival, due to take place in Aviemore on 4th-6th June 2019. This spring, fans will be able to follow a trail of the series’ key locations. Series 2 will debut later this year. Radio Times: When is Keeping Faith series 2 on TV? Article in the Radio Times about Keeping Faith series 2. Eve Myles spoke to Wales Online in February, previewing Series 2 of Keeping Faith! Screen have delivered a first-look at ‘Eternal Beauty’, Craig Roberts’ second directorial feature, starring Sally Hawkins and David Thewlis. The film is screening to buyers at this week’s European Film Market. BBC iPlayer reveals top programmes of 2018. Keeping Faith has been named the fifth most popular of all programmes on BBC iPlayer, behind Bodyguard, Killing Eve, McMafia, and Dr Who! Adrian Bate and Pip Broughton from Vox Pictures discuss the making of Keeping Faith to Pact. 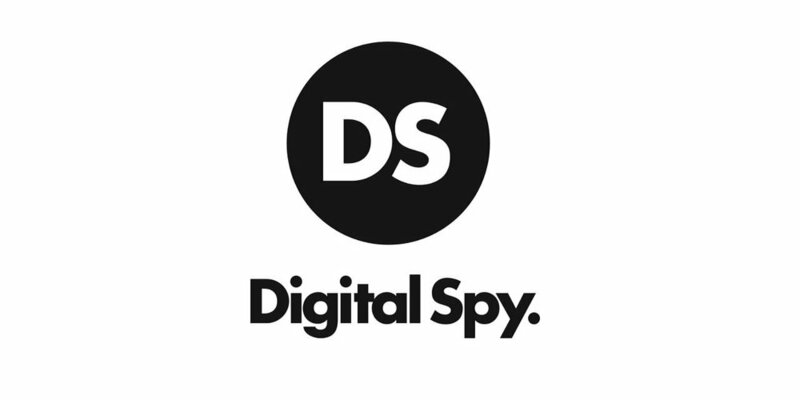 Eve Myles is in the running for ‘Best TV Actor (Female)’ alongside Keeping Faith for ‘Best Breakthrough TV Hit’ in 2018’s Digital Spy Reader Awards! Un Bore Mercher is in the running for C21’s International Drama Award for Best non-English language drama 2018! 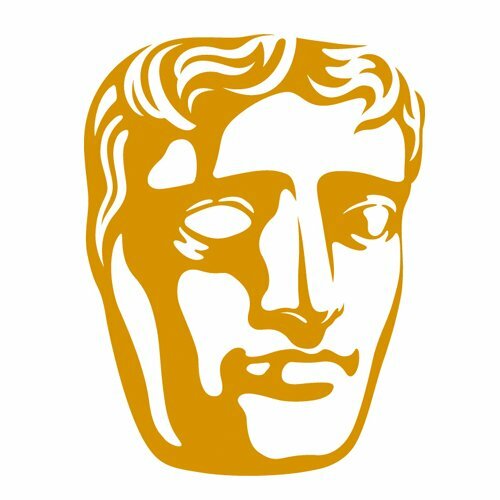 Keeping Faith/Un Bore Mercher wins three awards at BAFTA Cymru 2018! Eve Myles won ‘Best Actress’ for her performance of Faith Howells in Keeping Faith/Un Bore Mecher, alongside Matthew Hall for ‘Writer’, and Amy Wadge and Laurence Love-greed for ‘Original Music’. Keeping Faith/Un Bore Mercher back for a second series! Keeping Faith/Un Bore Mercher has been recommissioned for a second series which is currently in production, filming across Wales! Keeping Faith DVD available now! Keeping Faith is available on DVD now to purchase from Amazon and all good retailers. ‘Time Away’ will screen at the Bolton Film Festival in October, followed by a Q&A with Maxine. The series picked up six nominations for: Actress (Eve Myles); Actor (Mark Lewis Jones); Costume Design (Sarah-Jane Perez); Original Music (Amy Wadge and Laurence Love Greed); Photography and Lighting (Steve Lawes) and Writer (Matthew Hall). The winners will be announced on Sunday 14th October. 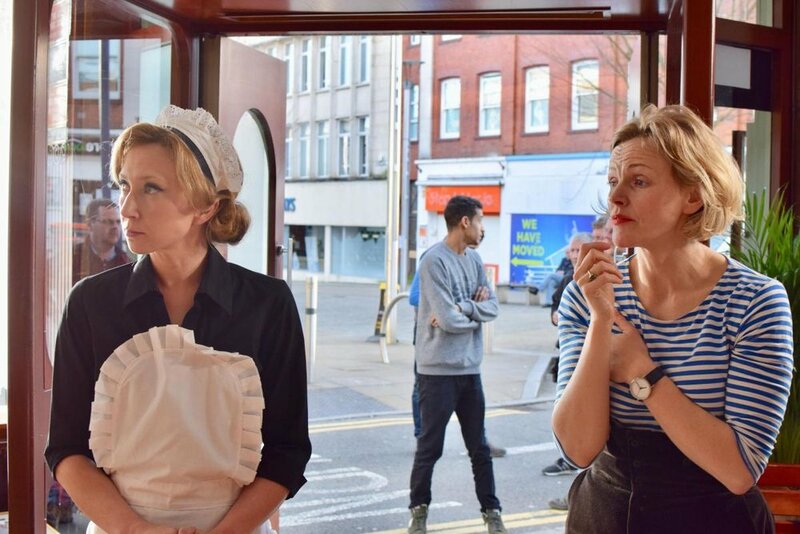 Maxine Peake's directorial debut short, 'Time Away', will screen at the London Film Festival in October. Tickets will be on sale on 13th October at 10am. Just Jim to screen on BBC2 Sunday 19th August. 'Just Jim', Craig Roberts' directorial debut and Vox's first production, will receive its UK TV premiere at 23.15 on Sunday 19th August on BBC2. The film will be available to watch on BBC iPlayer afterwards. The record-breaking drama series starring Eve Myles begins on Thursday 12th July at 9pm on BBC One! Eve sits down with Phil and Holly to discuss Keeping Faith - "the drama you're about to be hooked on". Matthew Hall (writer) and Vox Pictures' Joe Williams (script editor) on developing the hit drama. The Daily Mail breaks down the 'mysterious' success of Keeping Faith. The series begins nationwide on BBC1 on Thursday 12th July at 9pm. Owen Sheer's film poem in tribute to the NHS is available now from the BBC. Eve Myles joins Simon Mayo and Jo Wiley on BBC Radio 2 (from 01.36.00) to discuss 'Keeping Faith', learning Welsh and music! The 'Game of Thrones' star joins Sally Hawkins, David Thewlis, Alice Lowe, Billie Piper, and Penelope Wilton in Craig Roberts' second directorial feature. Read more. Michael Sheen discusses all things 'To Provide All People' ahead of broadcast. 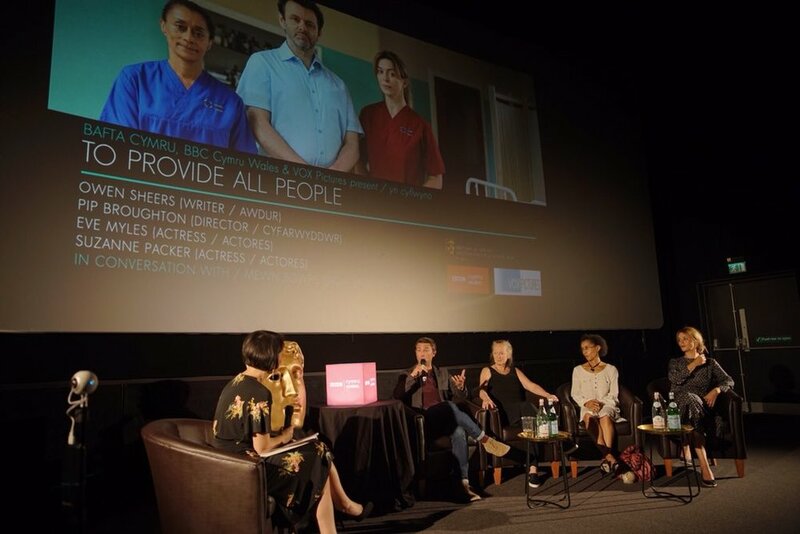 Last night, BAFTA Cymru hosted a special screening of 'The NHS: To Provide All People'. "I'm trying to be more political"
George MacKay on his role in 'The NHS: To Provide All People', which airs on Thursday 28th June at 8pm on BBCOne Wales and on Saturday 30th June on BBC2. Read more here. 'To Provide All People' to air next week! 'To Provide All People - a film poem in the voice of the NHS' written by Owen Sheers, directed by Pip Broughton, and featuring an all-star cast including Michael Sheen, Eve Myles, Martin Freeman, Meera Syal, and many more, will premiere on Thursday 28th June at 9pm on BBC One Wales, followed by a a nationwide airing on BBC2 on Saturday 30th June at 8pm. Click here to watch the trailer! This record breaking, warm - hearted domestic thriller, is hitting BBC One this summer, see's Faith (Eve Myles) drawn into mystery when her husband vanishes. Vox Pictures' short film, 'Time Away', which marks the directorial debut of acclaimed actor Maxine Peake, will receive its world premiere at the Edinburgh International Film Festival on 23rd June 2018. Tickets are available here. Eve Myles on the BBC Breakfast Show talking about #KeepingFaith and the iconic yellow mac! ...#KeepingFaith with @TeamEveMyles continues next week. 3 AWARDS AT BAFTA CYMRU 2017! ABERFAN: THE GREEN HOLLOW received three awards - for TELEVISION DRAMA, WRITER (OWEN SHEERS) and the BREAKTHROUGH AWARD for JENNA ROBBINS. ABERFAN: THE GREEN HOLLOW leads this years BAFTA ACADEMY CYMRU with 7 nominations across Television Drama, Director: Fiction (Pip Broughton), Actress (Eiry Thomas) and Actor (Michael Sheen, who won the award in 2013). The drama is also nominated for Writer (Owen Sheers), Photography and Lighting (Steve Lawes) and the Breakthrough Award for newcomer Jenna Robbins. ABERFAN: THE GREEN HOLLOW was HIGHLY COMMENDED for BEST HISTORICAL DOCUMENTARY at the BRITISH DOCUMENTARY AWARDS 2017, where it received a second nomination for BEST SINGLE DOCUMENTARY (DOMESTIC).